WHISKEY GALORE! DONEGAL MAN’S €3M WINDFALL! A DONEGAL businessman is toasting a success this weekend – after selling his share in a top whiskey business and pocketing a cool €3Million. Inishowen man Willie McCarter first came with the idea of starting an independent distillery when he met business partner John Teeling in the Star & Ploughs Irish pub in Boston in 1987 when they were both studying in the city. They went on to fulfill their dream and were selling Kilbeggan, Tyrconnell, Greenore and Connemara whiskies around the world. But this weekend they have sold up – to one of the world’s biggest companies. New York-listed Beam, home to brands including Courvoisier cognac, Sourz liqueurs, Teacher’s Scotch and Jim Beam, bought whiskey producer Cooley from the Teeling family for $95 million (€73M). Mr McCarter gets more than €3M for his share in the business. Cooley’s distillery at Kilbeggan was founded in 1757 and claims to be the world’s oldest licensed whiskey making site (though Bushmills insists its 1608 license is older). The firm also has a distillery at Cooley in County Louth, while its head office is in Dublin. Chairman John Teeling said: “Beam understands whiskey. They have the culture, experience and global strength to enable the Cooley brands to reach their potential. Mr McCarter is probably best known as the Managing Director of the family textile company WP McCarter & Co Ltd in Buncrana from 1972 to 1987 and having successfully led a joint venture in the US was Chief Executive of Fruit of the Loom from 1987 to 1997. 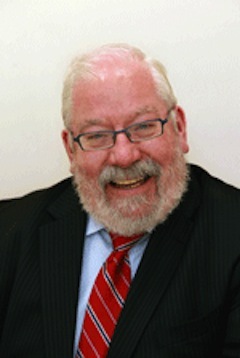 He served as Chairman of the International Fund for Ireland from 1993 to 2005.